Main Computers Intel officially launches graphics-less processors - to cut prices? 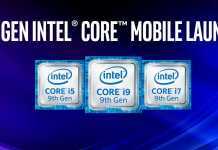 Intel officially launches graphics-less processors - to cut prices? In recent years, we've gotten used to getting a built-in graphics core with our desktop processor. The same processor known as Intel HD Graphics has been with us regularly since being embedded in the series core From the second generation at the beginning of the decade. The built - in graphics core of Intel Has since become a fairly big hit among home users who need minimal graphic power to run simple programs and movies. This core is more capable of displaying screens and accelerating video content. Technologies such as QuickSync Intel Enable the built-in encoder in the graphics core to speed up video conversion operations, for example. A well known software that uses this technology is Handbrake. In fact, this graphic core is a pure bonus even for my husband graphic cards Installed on the motherboard. 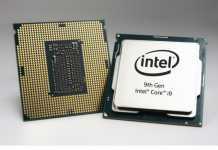 To save costs Announces Intel On the F series of ninth-generation processors. Processors These arrive without Core Graphically built-in included. True, so far we have not mentioned who saves and unfortunately the answer is probably not the consumer. The processor core i5 9400F is actually core i5 8500 where the graphics core is disabled. It contains 6 cores in the Coffee-lake architecture at a maximum frequency of 4.1Ghz. While the 8500 is priced at the price of 210 dollars at the time of writing, the i5 9400F will also be priced in the 210 dollar as a common street price. We find it difficult to understand the location of this product on the market, since it removes a technical feature but does not reduce the price. To remind you,core i5 8400 was available at about $ 165 before price increases began. It is now offered at 194 Dollars. In addition to the 9400F processor were launched as well i7 9700KF and i9 9900KF which also contain processing power similar to their F-free counterparts Core Graphically included. No doubt we are now seeing Intel At the height of the difficulty it has encountered over the past two decades in terms of product creation and supply. We hope that this period will pass quickly as competition for good prices for the consumer.